History suggests the new leaders of the Conservative and New Democratic parties should be looking for positive signals in their first test with voters in two byelections on Monday. 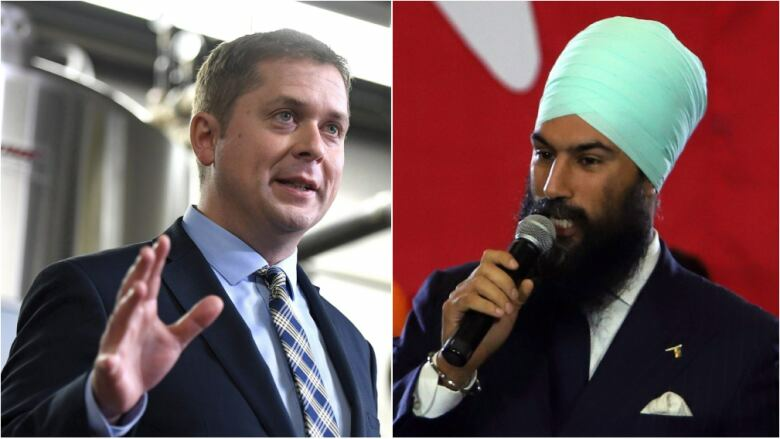 The destinies of Canada's two new opposition leaders — Andrew Scheer of the Conservative Party and Jagmeet Singh of the NDP — won't be decided when they face their first electoral tests in two byelections on Monday. But history suggests that those who see gains in their first trip to the polls as leaders are more likely to make gains nationwide later on when it really counts. Byelections will be held in the ridings of Sturgeon River–Parkland in Alberta and Lac-Saint-Jean in Quebec to replace retired Conservative MPs Rona Ambrose and Denis Lebel. 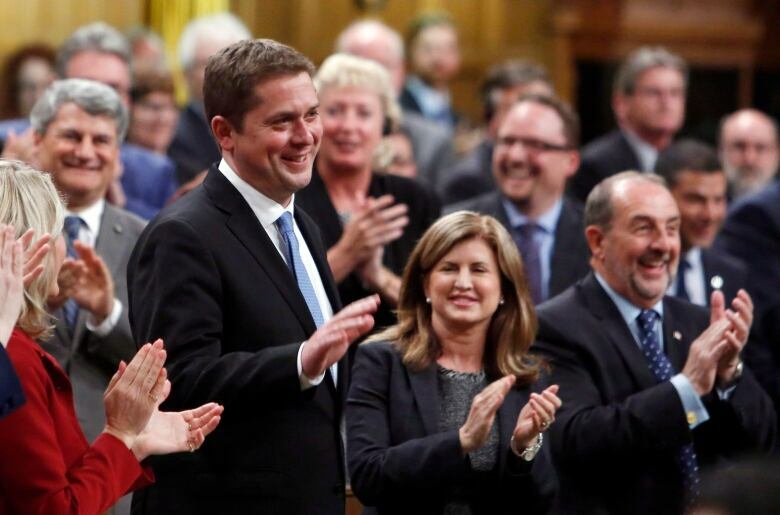 These are the first to take place since Scheer (on May 27) and Singh (on Oct. 1) were named the leaders of their respective parties. Sturgeon River–Parkland is a safe Conservative seat. It was won by Ambrose with a margin of 55 percentage points over the Liberal candidate and has long been a stronghold for the party. Lebel won Lac-Saint-Jean, however, by a margin of just five points over the New Democrats. Along with the Conservatives and the NDP, both the Liberals and Bloc Québécois have hopes of taking the seat. But having new leaders at the helm of their parties may not improve the odds for the Conservatives or NDP. In 73 applicable byelections since the beginning of the 20th century, new leaders have boosted their party's performance in a riding over the previous general election by an average of just 1.4 points. The median shift in support has been a loss of 1.3 points. Though the impact of individual leaders can vary depending on a number of factors, the arrival of a new leader alone does not appear to have any appreciable effect on the result of a byelection. Simply presenting a new face at the head of the party is not enough. But new leaders still have a good track record in defending their territory. When it is one of their party's own seats that is up for grabs, they have retained it 86 per cent of the time. Though the sample size is small — just 22 cases — that is better than incumbents' overall retention rate of 68 per cent in about 300 byelections since 1931. New leaders have struggled to gain seats in their first byelection tests, doing it just six times in 51 opportunities. This suggests Singh has history working against him in pulling off an upset in Lac-Saint-Jean. But it also means that a Scheer defeat there would put him in unenviable company. Robert Manion, the newly-named Conservative leader of the day, saw his party lose the Manitoba riding of Brandon in 1938 before going on to lose the 1940 federal election in such a manner as to give the Liberals their best results in the party's history. In 1990, Jean Chrétien's Liberals lost Laurier–Sainte-Marie to Gilles Duceppe, who ran as an independent candidate because the Bloc Québécois had yet to be officially registered. Though Chrétien would go on to win three majority governments, the byelection heralded the arrival of the Bloc on the federal scene. And in 2007, new Liberal leader Stéphane Dion fumbled the ball in Outremont, losing the once-safe Liberal riding to an NDP candidate named Tom Mulcair. Singh has better examples to follow, including that of David Lewis. In his first byelection test as leader in 1971, the New Democrats wrestled the Ontario riding of Brant away from Pierre Trudeau's Liberals. In the general election held a year later, the Liberals were reduced to a minority government due in part to gains made by the Lewis-led NDP. Of the 16 applicable leaders who bumped up their party's average vote share in their first byelections, 10 of them increased their party's vote and seat total nationwide in the next general election. Only three of them led their party to a decrease in votes and seats. The other three either did not contest a general election or increased their party's vote share, but not its seat haul. Of the 15 individuals who led their parties to worse results in their first byelections, just four of them increased their party's votes and seats in the next general election. Five of them put up worse performances on both counts, while the others did not contest a general election. This aligns with trends seen in byelections as a whole. While the results can fluctuate greatly due to local factors and the candidates on the ballot, parties that make gains in byelections — even though they are held in just a few individual parts of the country — are twice as likely to also make gains nationwide in the next general election than the party that suffers losses. That national vote is still two years away, but the byelections next week might provide some signals that party leaders, both new and old, can use to assess their political strategies. Regardless of what the winners and losers make of Monday's results — expect the losers to suggest they don't matter — history seems to confirm what should be obvious: it is better to be the winner.